Are you hungry? Then it’s the perfect time to join us for Cooking and Food week on Wizard School (formerly WonderBox). Get to know interesting foods from around the world, dive into the science of creating new foods, invent your own restaurant to showcase culinary cuisine, and discover even more activities for foodie kids. Let’s get cooking! Bread is one of the oldest prepared foods and is universally enjoyed across many, cultures, countries and religions. What type of bread do you like to eat? Have you ever tried pita bread, bagels, or baguettes? Learn about bread from around the world, and then take a photo of bread and describe how it’s served with your family’s favorite meal. Using methods called grafting and genetic modification, farmers have been able to create some truly wacky plants! Farmers are using cross pollination to create fruits that are the genetic combination or “hybrid” of two other fruits. Some of the tastiest discoveries have been Plumcots, Tayberries, Tangelos and Apriums. Did you know that most everyday fruits and vegetables we eat are hybrids? Yellow bananas, grapefruit, meyer lemons, and numerous apple varieties were actually the result of careful plant breeding. Learn about hybridization of fruits and vegetables and then invent your own delicious fruit or veggie! Eating out is always a treat, but imagine if you could invent your own restaurant. What kind of food would you serve? Would you have a cool theme or decorations? Where would your restaurant be located? Visit some creative restaurants and then share your design with your friends and future customers! Remember to share your cooking creations with the Wizard School crew. We can’t wait to hear from you! Then, see what’s next on our Summer of Wonder calendar! Howdy! Do you know why the western half of the United States was called the Wild West? In the late 1800’s, the untamed territories of the American frontier earned this nickname due to their lack of laws and the wild behavior that took place. Are you ready to explore the Wild West? Open up Wizard School (formerly WonderBox) and let’s get started! Many legends have come out of the Wild West. Some of them are famous for being outlaws and some of them are famous for being lawmen. Y’all take a trip to the Wild West and get ready to meet all sorts of people. Learn more about these folks in the “Legends of the West” challenge on Wizard School. At the end of the lesson, choose one of the legends and make them talk about the rootin’ tootin’ West. 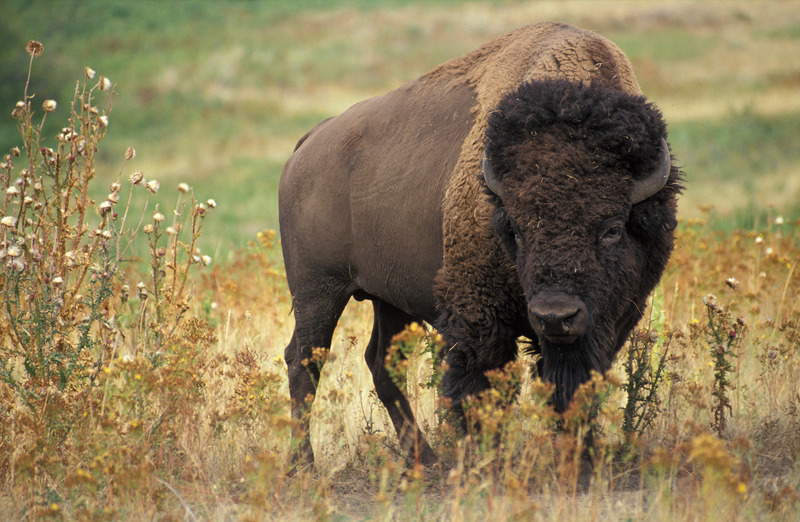 A true symbol of the frontier, the American bison (also referred to as “American buffalo”) are the largest land animals in North America. In fact, these wallowing, bellowing giants once roamed the plains of the American West in vast numbers. Check out the “Talking Bison” challenge on Wizard School to learn more, then help a bison share its dramatic story of near extinction and recovery. What would you do if you found gold? Where did gold miners come from, and why did so many travel to California during the Gold Rush? Visit the “Gold Rush” challenge on Wizard School to learn about the history of the Gold Rush, from the properties of gold, to the people who discovered the precious metal. Then make a miner talk about discovering gold! There are 562 Native American tribes located throughout the United States, each with their own cultural traditions and art forms. Visit the “Native American Art” challenge on Wizard School to learn more about traditional Native American art and meet some contemporary artists. Then, use Wizard School’s built-in design tools to try your hand at decorating a Native American inspired blanket, pot, mask, dream catcher or teepee. Explore famous landscapes of America’s Wild West like the Grand Canyon, Death Valley and the Oregon Trail. This vast and rugged terrain set the stage for the American frontier. What do you think it was like to live in the Wild West? Visit the “Postcard from Wild West” challenge on Wizard School to take a tour of the land. Pick out your favorite setting, and send a postcard to a friend! Share your Wild West adventure! Remember to share your creations with the Wizard School crew. We can’t wait to see what you create! Looking for more fun challenges? Check out our Summer Wonder learning program! Still need the Wizard School app? Download it FREE on iTunes! Do you love taking pictures? Playing photographer is a fun way to capture memories and express your creativity. Launch your photography career with Wizard School (formerly WonderBox) by making neat props for a photo booth! Or, take pictures within pictures by finding reflections of unique scenes. Having fun? Try building your own scene by using natural materials in artistic ways. Check out these fun photography projects for kids – the options are endless! Using reflections in photography can make amazing effects and beautiful images. When light rays bounce off a completely smooth surface, such as a still pool of water, a mirror, or even something like a shop window, we are able to see a very clear reflection on the surface. Once you start looking for reflections, you will find them everywhere! Learn more about this type of photography by visiting the “Take a Reflection Photo” challenge on Wizard School. Then, find a mirror, rippling water, or a glass and try your hand at reflection photography! Andy Goldsworthy is a British artist who has made hundreds of amazing creations. Visit the “Natural Photography” challenge to learn about how he works with natural materials. Then, create your own masterpiece using items you find in nature. The beach is a perfect place for nature art, but your own backyard can be just as good. Even sticks can surprise us when they are arranged in clever ways! When you’re done, take a photo of your natural work of art and share with a friend in Wizard School! The first photo booth appeared in the 1920s and quickly became a fun way to capture silly moments with friends! Visit the “Make a Photo Booth” challenge on Wizard School to learn how you can design your own photo booth. Create some neat props for taking pictures, and then let your photo shoot begin! Looking for more fun challenges? Check out our free summer learning series! Explore These Fun Summer Activities For Kids! We’ve landed right in middle of summer, a great time for laughter, creativity and play. Let’s make the most of this special season by celebrating all of its remarkable activities. With Wizard School (formerly WonderBox), you can plan a camping trip, invent a new pool jump, log your stories in a journal, learn about the importance of sunglasses, and even design an amazing bridge during your downtime! Learn more about these fun summer activities for kids. Do you love the great outdoors, sleeping under the stars, and building campfires? Then you’ll love camping! What do you think you will need? What is the best wood for building a campfire? Learn everything you need to know about camping by visiting the “Go Camping” challenge on Wizard School, then plan your very own adventure. 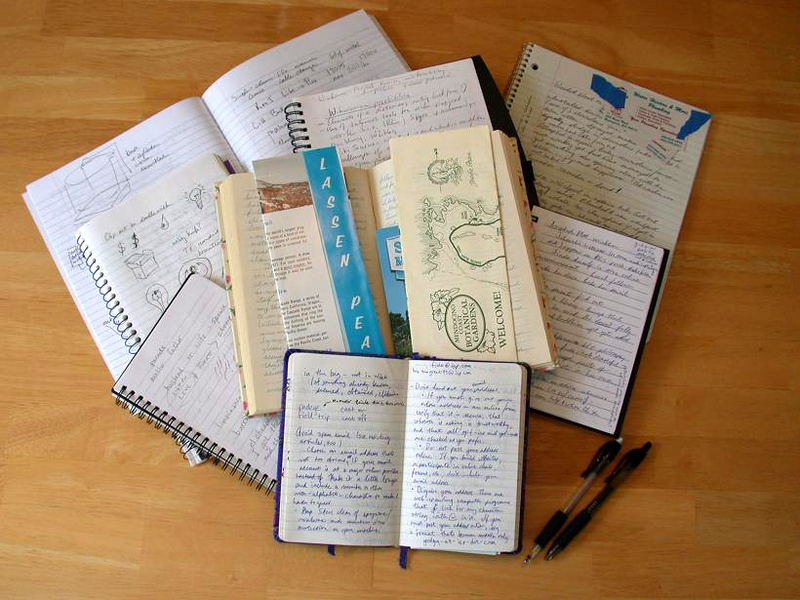 A vacation journal is a way to record the details of your trip. It can be fun to remember special places by writing down stories, drawing out the sights, or collecting keepsakes. Visit the “Vacation Journal” challenge on Wizard School and create a journal by logging the details of your favorite trip, or by describing your dream vacation. Then share your adventure with family and friends. Cool off by doing some pool jumps in the heat of summer. What is your favorite pool jump? Which type of jump makes the biggest splash, or the littlest splash? Have you ever recorded a pool jump to see it play back in slow motion? Let’s do it! Record someone jumping into a pool and then watch it on camera. Do you think the number one reason to wear sunglasses is to look cool? That’s just an added bonus of the protection sunglasses provide for your eyes. Polarized sunglasses are specially designed to reduce glare off surfaces like glass, water, or snow. But, they don’t do it with a dark tint. Get a crash course in light physics and learn how they work at the same time! Then add some sunglasses to a silly photo of yourself, a friend, or your pet! Every bridge that successfully gets you from one side to the other is a victory of engineering design. Not all bridges have the same structure. Find out about the advantages of different types: beam, truss, suspension, and arch. Learn about different types of building materials, and see some incredible structures in the “Build a Bridge” challenge on Wizard School. Then, create your very own bridge! What type of material will you use to construct your bridge? Go Green And Learn About Growing A Garden! Calling all green thumbs! Are you ready to go green, get dirty, and learn about growing a garden this summer? Let’s start by digging into Wizard School (formerly WonderBox) to learn about planting seeds, creating compost, and crazy carnivorous plants. Wizard can’t wait to grow gardens with you! Nothing is more rewarding than planting a seed and watching it grow, especially when the end result is a beautiful flower or a tasty vegetable! Check out the “Plant a Garden” challenge to learn some gardening basics, then start your own garden and send a photo of it to a friend. Composting is the process of helping food scraps and other plant waste break down, or decompose, into soil. With the right mixture and conditions, you can produce dirt that will feed your garden the minerals and microbes it needs to grow big and strong. Why not make your own nutrient-rich dirt by composting? Learn more about composting in our “Create a Compost” challenge on Wizard School. When you’re done, photograph your compost station, decorate it, and send it to friends to inspire composting in your neighborhood! Although they sound like something out of a horror movie, meat-eating carnivorous plants are for real. Although they make their own food (sugar) like other plants by converting sunlight, they get minerals by eating animals instead of by using roots to draw nutrition from the soil. The Venus Fly Trap is the most famous carnivorous plant. Check out the “Hungry Plants” challenge to watch them in action as they trap their favorite snacks. Then, use Wizard School’s built-in design tools to make one talk! Who says that creativity has to come in the form of traditional arts and crafts? In fact, there are many ways to express your creativity! The options for artistry are endless, and we love to dream up new ways to express our creativity on Wizard School (formerly WonderBox). Check out these three unique ways to express your creativity this summer. A tablescape is the artistic arrangement of a table, including the centerpiece, tablecloth, and dishes that are chosen to complete a place setting. Tablescapes vary based on the season and occasion. Is your event formal or informal? What types of dishware, glassware and cutlery will you use? Open Wizard School to see examples, and then design your very own tablescape! Who said you needed pencil and paper to make art? Did you know that food can be used as an art form? People use food to create models of people, animals, and many other things. Some also present their food in a unique design that not only makes food enjoyable to look at, but even more fun to eat! Take a photo of your edible art and then share it with a friend. Poetry is a great way to express yourself! Did you know that poems don’t always have to rhyme? Acrostic poems are fun because they don’t always follow poetry rules. An acrostic poem uses the letters of a word to make a full poem. Acrostic poems are fun because the word written vertically is the first word in that line of the poem. Learn all about acrostic poems and then write your very own! Having to stay indoors and heal after getting injured or coming down with a cold is no fun, especially during the summer. Thankfully, you can avoid both by being wise and well-prepared! Join us on Wizard School (formerly WonderBox) as we learn all about safety gear, germs, and how to create an emergency plan with these health and safety activities for kids. Do you ever worry about being caught in a flood or an earthquake? You never know when natural disasters or severe weather can strike, but it’s always possible to make their effects less dangerous by planning ahead. Learn what you can do to be ready, then make an emergency plan to share with friends and family. Fires can start and spread quickly. It is important that you learn how to be safe. Have you ever wondered about the science of fire and fire safety? Learn why the words “stop, drop and roll” are so important in fire safety. Then, record a message featuring your favorite fire facts or safety rules and share it with a friend. Germs are tiny, nasty, and relentless, and they’re all around us. But, if you know what they are and how they spread, you can stop them in their tracks in order to keep yourself and others healthy! Make a poster to teach friends how to win the battle against those pesky germs. Whether you are biking, skateboarding, skiing or riding on a scooter, helmets make great sense, as they are super important for protecting your head. Learn more about why helmets are important and check out some cool helmet designs. Then, photograph your helmet and give it a makeover with updated colors and awesome stickers. Remember to share your helmets, plans and posters with the Wizard School crew. We can’t wait to hear from you! See Scientific Wonders in Action with Wizard School! How do cells work? Why do volcanoes erupt? Where do black holes exist in outer space? Join us this summer as we explore a spectacular display of scientific wonders and find answers to these questions on Wizard School (formerly WonderBox). Are you ready to see science in action? Black holes may sound like something out of a weird science fiction movie, but they really exist. Learn how they are created and the ways in which they affect both matter and time. Then, imagine a journey into a black hole and make a postcard about your adventure. Who doesn’t lav-a volcano? 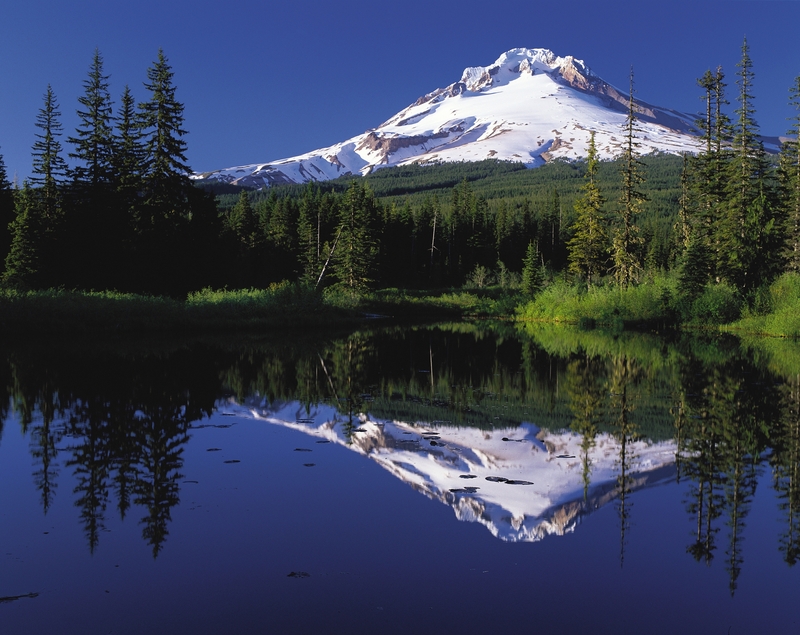 Volcanoes play a major role in shaping the geography of our planet and created the conditions needed for life on Earth. Learn about these explosive wonders and then make a talking volcano to share with a friend. Do you like to build things with blocks or Legos? It’s fun to see how lots of little pieces fit together to make one big structure. All living things are also made up of building blocks called cells. Learn all about how they were discovered and see how they look. Then, draw a cell using our built-in design tools and explain to your friends how the cell functions! The periodic table is a special list of 118 chemical elements that form the building blocks of all things that exist. Each one has unique properties! Learn about elements such as carbon, hydrogen, sulfur and mercury, and then give an element a voice so it can talk about where it can be found. What’s the oldest thing you’ve seen? Fossils are records of life preserved in rock and other substances from the very distant past. 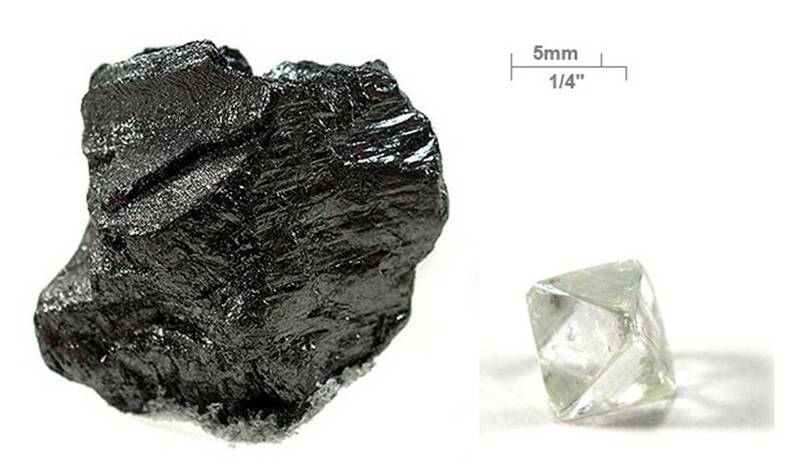 Some may be up to 4 billion years old! Learn how scientists uncover them and use them as clues to piece together facts about history. Then, make a drawing of the prehistoric animal you imagine when you look at a fossil “buried” in Wizard School! Still curious about science? Start a chain reaction by heading into Wizard school to find more science challenges and videos. Download the WIZARD SCHOOL app FREE on iTunes! This week, we’re kicking off summer with a trip into the great outdoors! Join us on Wizard School (formerly WonderBox) as we explore the natural beauty of America’s National Parks, create amazing cloud art, take photos of natural wonders, share travel photos with friends, and even design a cool bicycle for blazing trails. Ready? Let’s get outdoors! From glaciers to glades, volcanoes to canyons, America’s National Parks have something for all tastes. Buckle your seatbelt for a cross country virtual tour of some amazing places, including Bryce Canyon, Yosemite, and the Florida Everglades. Then, send a talking postcard to a friend from your favorite National Park. Have you ever looked up at the clouds in the sky to envision a cool shape or animal? 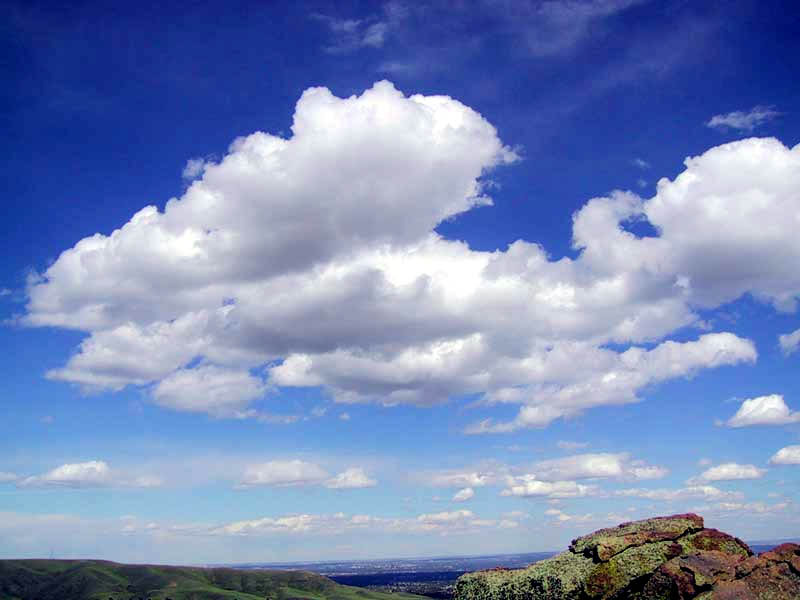 Take a photo of a cloud, then use the drawing tools and stickers to turn it into a work of art. Have you ever noticed how different things look when they’re super close? Go outside and take a close-up shot of something cool, then send it to a friend. See if they can figure out the subject of your photograph. Taking photos when on a trip helps you remember all of the things you saw and experienced. Find and upload a photo from your favorite trip, then decorate it and share with a friend. What’s the most popular mode of transportation in the whole world? The bicycle! More people use pedal power to get around than they do cars, trains or planes. Learn about the different types of bicycles, then design your own two wheel wonder! Remember to share your creations with the Wizard School crew. We can’t wait to hear from you! There are special times of the year for celebrating all of the important people in our lives. Wizard School (formerly WonderBox) has dozens of creative activities to teach kids gratitude and to help them show appreciation in thoughtful ways. Would you like to make a card, create an award, or design a superhero honoring your favorite person? Let’s take a look at all of the things we can do to honor family members, teachers, and special friends. Here are Wizard’s favorite activities for making others feel special! Superheros are amazing, just like the people who support you most! Create your own superhero with special powers to honor someone you love. Use the templates in Wizard School to get started, and customize your hero with bright colors, stickers, masks and logos. Let’s do it! It feels great to have accomplishments recognized with a certificate, trophy or prize. What type of trophy would you design for your favorite teacher, coach or parent? Open Wizard School to learn about famous and unusual prizes, and then create your own award to send along! Dads are the best! Whether it’s at work or at play, a father’s influence helps make you who you are today. Make a card for your dad to help him celebrate his special day! Flowers are nature’s beautiful way of making more plants. Learn about special attributes of flowers while sending a virtual bouquet to an important person in your life. Customize your bouquet with a voice message or a written note. Everyone loves getting flowers! Pick a card and write a note to someone! What do you want to say? Wizard School has some examples to get you started, such as a thoughtful note, a friendly invitation, or a fun riddle to share. Draw or write your own note to send good cheer. A family treasure is an item that holds a special meaning to your family. Perhaps it’s an old photograph or a piece of clothing you used when you were a baby. Through these special items, we can learn so much about our family history. Do you have items that are extremely special? Collect them and record a short video explaining their significance to you. Share the video with loved ones during a special family event! Mothers play a special role in our lives. Do you know a person who supports you, teaches you, or helps raise you? Learn why we celebrate mothers in May and make a card to say thanks for everything they do. Discover more activities and videos inside Wizard School. Open the search icon (top left of the app) and type in your topic keywords of choice. Or, scroll through the Challenges and Videos (bottom left of the app) to find a topic that interests you most! Wizard is exploring emojis, which are those cute images used for sending digital messages. Join us on Wizard School (formerly WonderBox) as we discover how emojis were created, and then make your own message using your favorite emojis! Emojis are digital pictograms. Much like the hieroglyphics used by the Egyptians, emojis are used to communicate between people electronically. It’s like talking without using words or letters! Challenge yourself to see if you can send a message to a friend just using only emojis and other stickers and symbols and see if they understand what you were trying to tell them. Ask your friend to send you emoji messages in return! *Get to “Emoji Message Maker” challenge now: Open the Wizard School app to the Challenges tab (bottom right of menu) > Drawing (swipe menu at top) > “Emoji Message Maker” (scroll down in Drawing category). Don’t forget that every Wizard School challenge has more to explore! You will find videos that explain the early history of symbols, where emojis come from, and how emojis can be used to tell stories or explain exciting topics. Discover these fun facts by tapping “Explore More” or “Inspiration” once inside the challenge. Remember to share your creations with the Wizard School crew. Wizard loves hearing from you – and remember to include your favorite emoji! Need the Wizard School App? Download it FREE on iTunes!